Did you know as a mother joy is something that can be hard to find? Hearing your kids laugh, watching them grow, learn and find out who they are, receiving their precious snuggles, hugs and kisses- these things can bring you so much joy as a mother. But sometimes joy can be stolen from us. Our thoughts go towards what are we going to have for dinner, cleaning up messes, worrying about what your kids are doing here and doing there, are they getting enough to eat, are they getting enough playtime, shouldn't they be doing this by now, shouldn't they be doing that by now - all while our kids are right in front of us doing things that can bring us so much of the joy we have been praying for God to send us. 2016 was a hard year for me. 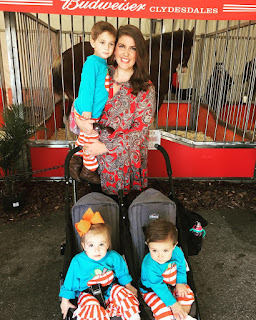 I went through a lot of things - things that robbed me of my joy - My focus went from my precious children to worrying about useless things and putting my focus on things that did not matter at all. I worried about everything - This twin is doing more than this twin, big brother isn't getting enough attention, the twins aren't getting enough attention. The daily tasks of cleaning up after my family became things that I dreaded and fussed about, not realizing how blessed I was that I have a husband and 3 beautiful children to clean up after. The year was slow and time after time I realized I had become depressed and focused on doing my best to make it to bedtime. Everyday tasks because more important than the joy right in from top me. In 2017 I realized I had to make a change - it had to be a change in my mind and my thoughts - a change where I had to tell the Lord what I REALLY wanted and continue to pray and believe it with my whole heart. After reading over my prayer journal from 2016 I realized that joy was missing from my life. 2017 was going to be my year of Joy so during our church’s 21 days of prayer that is what I focused on - Joy from the Lord. Never in my wildest dreams did I think the Lord would use what he did to bring me Joy. But the Lord works in mysterious ways and I truly believe that. So here is the story of how I found my joy……. Lets go back to February of 2016 - My husband and I had to decided to put our house up on the market (3 kids under 3 and a house for sale - a HORRIBLE idea but thats another blog post for another day). We truly loved our house but wanted some change and thought “Why not?” I cleaned and cleaned and cleaned all day everyday so the house would be ready for showings the minute it needed to be. We lived out of a laundry basket and our car during showings. I would be feeding a baby with one hand, burping a baby with another hand and then singing a toddler to sleep all while waiting patiently at the bottom of our neighborhoods hill like a secret agent spy in my explorer filled with kids, dirty laundry, toys, trash and anything else that didn't make our house look “perfect” to a buyer. Let me tell you - It was the time of my life y’all. I did so much work to make our house perfect so we could sell it and go on to the next adventure, but there was something that kept happening every time we had showings - a cat. Our realtor had once mentioned that we needed to do a better job of cleaning up after the cat and making sure that the cat was not home during showings. I kept telling him we didn't own a cat and I didn't know what he was talking about. I kept wondering if he was even showing the right house because I had never seen a cat around our house. And then one afternoon I finally spotted THE cat. My kids and I were outside and I heard a loud scream. Steven threw his dump truck and ran as fast as he could screaming about some cat that had touched him. I saw the tail of a cat hiding behind a chair and when I pulled the chair back it ran, causing me to scream which then caused Steven to scream followed by the even louder screams of the twins. I heard water could scare cats so I sprayed some water around hoping it would prevent the cat from coming back. (Can you tell Ive never been around cats? My mom always said they were “of the devil” so we never had any growing up!) We went inside, I calmed everyone down and thought “ Ok thats the end of the cat” - Um no. It got worse. For over a year, this cat (who no one claimed was theirs) was at our house all the time. I never once fed it, I never spoke to it, I thought if I don't look at it maybe it will go away, but it always seemed to be there. We eventually took our house off the market, the stress of selling a house, a husband that was at work more than he was home, raising 3 kids alone from sun up to sun down, all while trying to keep a clean house and keeping sane was too much for everyone. We took it off the market in June and went on with our daily life. We were finally about to “live” in our house again. Yet the cat was still around. Paw prints all over the kids toys, trash here and there, the kids were terrified to go outside because this cat was always lurking in the corner staring at us - like the eyes of Doctor T.J. Eckleburg in the old advertising billboard in The Great Gatsby. Just sitting there checking us out but really just freaking us out. The scariest thing it did was when I opened the blinds and saw it sitting not the perch outside just staring at me. I slowly closed the blinds and went into another room, totally freaked out. lol. I tried to find the owner many times. I posted on neighborhood pages, Facebook sites, I never had any luck. We continued to ignore it hoping one day the owner would actually remember they had a cat and it would not be hanging out at Hotel Watts anymore! This is the only photo I have of this crazy cat - I posted this to our neighborhood HOA page many times but no one ever claimed it! Now back to January 28th of 2017 - My husband came home from work that night and told me the trunk of my explorer was open. I thought one of the kids had gotten ahold of the keys and opened the trunk while pressing buttons here and there so He closed the trunk, we came inside, ate dinner, bathed the kids and put everyone to bed. Once we were ready to go to bed at about 8:00 that night lol - We did our nightly door and window check to make sure everything was locked before going to bed (the life of an adult is so wild right? lol) While turning off the lights in the dining room I realized the emergency lights in my car were going off. It totally freaked us out and the worrier in me had totally convinced myself that someone was in the car - someone had broken into my car, turned on the emergency lights so I would go out there and turn them off and then I would be mugged, the person would drive off with me in the car and I would never see my family again - Yes this is how my mind works people. lol. I thought to myself “I cant go out there - Mitchell has to do it! If I'm not here the kids will go around malnourished, theres no telling what time they would go to bed and they will never match out in public - this is job for Mitchell, not me!” (once again - Im crazy yall) I got Mitchell and made him go outside. After telling him why I thought my lights were flashing, he got his loaded gun (because I had convinced him someone was in the car) and walked outside to deal with my car. I couldn't watch - I just knew I would hear a gunshot from the person hiding in my car but no - Mitchell walked back in came in the bedroom and said “I don't know what happened? Maybe the kids turned them on and we didn't see it because it was light outside” “Yes who knows” I replied, with a sign of relief. I didn't think anything else of it so we went on to bed. The next morning we realized our outside drain had been clawed apart by, yes you guessed it - the cat - so we decided to spend the morning at home depot getting the parts we needed to fix the drain. We ate breakfast, dressed the kids and loaded everyone up in the car and headed to home depot. 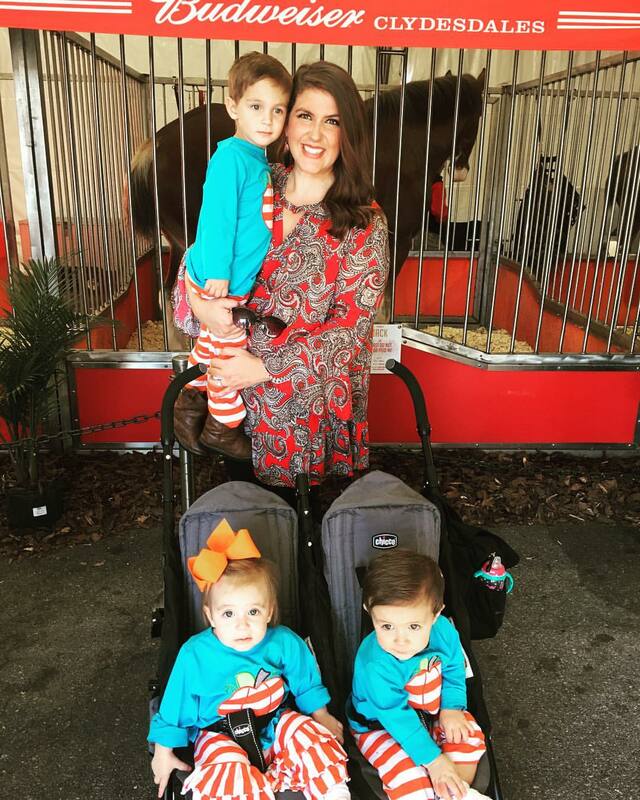 I noticed the car smelled strange but Im a mom of 3 and there is always something crazy in my car! I was convinced there was a diaper somewhere I had forgotten to take out so we just dealt with the smell and went on to Home Depot. Everyone was quiet in the car, we listened to music, laughed at the way the kids were dancing in the back seat and 20 minutes later pull up at Home Depot ready to knock out the task of getting the kids out of the car and into the buggy as fast as possible. We were on a mission to get what we needed to get and hurry back home in time for the best time of the day - naptime!!!!!! I turn around to unbuckle Steven when I see something I would have never thought to see - THE CAT - sitting ever so careful on the headrest of the back seat facing our daughter, Charlottes car seat. I scream, Steven realizes the cat is beside his head so he screams, Charlotte screams because she sees a cat in front of her. John Daniel screams because it was so loud. Mitchell and I jump out of the car. Now we almost ran but realizing we were parents and had to deal with what was inside the car, Mitchell opened the car door and out jumped the cat, screeching as it jumped and ran off. Of course the parking lot was full and people turned around to see what the loud screaming noises were. A couple beside us saw what happened and came running to our car asking if they could help us find our cat, why did you even have the cat in the car, are the kids ok, all the questions I didn't even want to answer because I was still in shock there was a cat IN OUR CAR. Mitchell and some other people in the parking lot looked for the cat but the loud noises and crazy atmosphere had scared it off and it was no where to be found. I tried to explain to the people beside us that the cat did not belong to us, we don't even own an animal but they looked at me crazy when my worried face all the sudden burst into total laughter. The moment I turned around and saw the cat perched on the headrest kept running thru my head. I thought back to Christmas Vacation when Chevy Chase first saw the squirrel jump out of the christmas tree - That is how I felt at that moment. We got the kids calm, got everyone in the buggy and walked into Home Depot. We felt eyes staring at us left at right “ Those are the people who just let a cat out of their car and walked off!” We even had people come up to us in the store asking what we were going to do about the cat. Now, we don't own any animals. Why? Because I have 3 animals of my own, Steven, John Daniel and Charlotte. I am able to take care of them and thats about it. I would never wish anything bad on an animal - I just don't have time to take care of one like it deserves which is why we do not have a pet. This cat was not our pet, we never once gave it food, we never talked to it unless we were saying “ please go away”, it had haunted us and had been freaking us out for over a year. And now it was running loose in the Home Depot parking lot. In the HOME DEPOT PARKING LOT YALL. We left Home Depot, Mitchell and I doubled over in laughter barely being able to drive thinking about what had just happened. I started piecing things together - the smell in the car - it was cat pee, the cat had been in the car the whole night. When Mitchell closed the trunk it must have been trapped in there. While it was crawling around in my car all night peeing and shedding its hair everywhere it must have accidentally pressed the emergency light button which is why the lights had been flashing the night before. The whole reason we had gone to Home Depot to begin was to replace something the cat has broken. Mitchell and I spent the rest of the day cleaning the car and the carseats, spending hour after house removing all the evidence of the cat that had spent the night in the car. No one in our neighborhood admitted to missing a cat - We were convinced the cat was some kind of ghost or crazy zombie cat that only came around when we were alone or around the kids or had big things going on at our house. The whole day Mitchell and I would break out in laughter thinking of the cat jumping out of the car and the faces of the people around as they looked at us. Mitchell said he had never seen me laugh so hard, and he was right I had not laughed that hard in months, even years. Joy can be defined as the feeling of great pleasure and happiness. The bible tells us that Joy remains even in the middle of suffering. No matter what situation you are in, you can find joy. 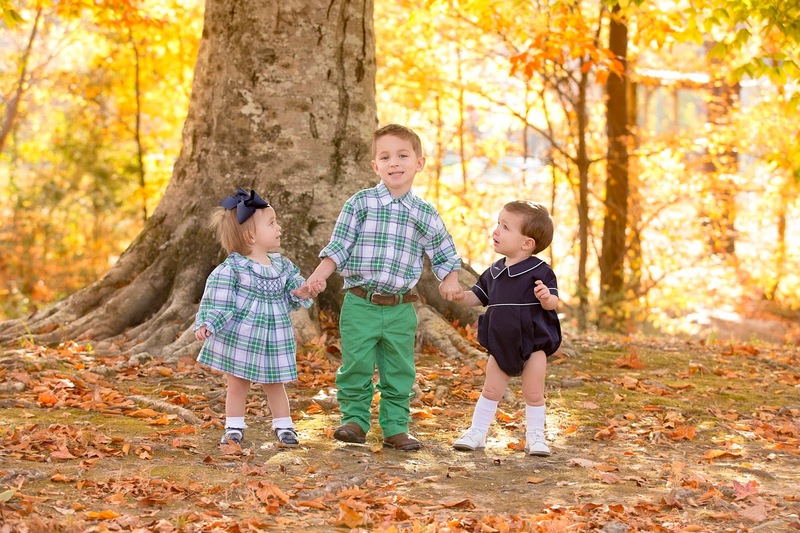 I had been praying so hard for joy - My idea of joy was my house clean and in perfect order, the children wearing stainless, crisp ironed clothes, my husband home every night for 5:00 dinner, and me dressed like June Cleaver, full face of makeup and dressed to the nines, sitting around the table with the kids while we ate a perfect dinner prepared by me - The kids would eat all their vegetables, our house would have sold immediately, there would be no cat running around our house, everything would go just as I wanted it to go. But this is so far from joy. Perfection is not possible - The only perfect peace you can get is from our savior Jesus Christ. And in that moment I realized that I was not able to find joy because I was looking for it in the wrong places. I needed the “situation” to be right to experience joy. I needed things organized so I could experience joy. I needed the kids to be perfect so I could experience joy. I needed my husband home at all times so I could experience joy. I wasn't able to feel joy because I spent so much time cleaning up the messes around me that I didn't look at the kids making the messes and see how happy they were. Life will never be perfect. Your home will never be perfect, your children will never be perfect - your friendships, relationships, car, clothes - they will never be perfect. The Lord revealed to me thru a CAT that I can get the joy I need no matter what the situation. I could of been angry my car was scratched up and stinky but instead I chose to laugh about the situation, harder than I had laughed in years. It was the joy I needed to help me understand what I went thru last year and how I can face the future. Anytime I am going thru something I feel like I cant handle, I will always think of this crazy cat and the day it made me laugh harder than I had ever laughed before and I felt the joy in my heart and soul again. You may be in a place where your joy has been stolen. 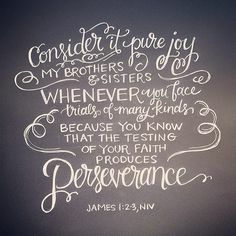 Focus on this scripture from James 1, verse 2-3 “Consider it pure JOY, my brothers and sisters, whenever you face trials of many kinds, because you know that the testing of your faith produces perseverance.” When you are going thru something where you feel joy is so far away, realize that it is not! Joy is the person smiling at that funeral because they know they will get to see their loved one again one day. Joy is the person driving too slow in front of you, they are enjoying the drive because even though they are were given only a few months to live, they are still choosing to enjoy the scenery around them. Its in the simple laugh of your child, the joy of knowing you have food in your refrigerator (even if you do have to cook it lol), the joy of knowing you are loved, you are cared for. Its finding the joy no matter what situation you are in. There is joy all around us. The hard times you go thru become part of your story. Nothing is easy. The trials we go thru today and how we overcome them could help someone find joy later in life. Look around and always find the joy in your situation. You will find laughter, smile when you least expect it and feel the Lord working inside of you like never before. You never know - Joy could come at you thru a cat - just like me!